There are a ton of PC reviews done on this site for CYBERPOWERPC Computers and for good reason – they’re easily one of the best companies out there for reliable pre-built gaming desktops. Being around since 1998, they know what they’re doing. They test their PCs through and through and they are all assembled with care and built for the long run. Being both a manufacturer and distributor, they’re in full control of how their PCs are done and they make sure they’re built in the right way. As for variety, there are a bunch of different types of desktops that CyberPower puts together. They’ve also been quick to having desktops ready with all of the newer tech available, as they’ve done with their GXiVR8100A model. Let’s go ahead and go over the performance power of this PC, what it has inside and what the parts are capable of. Two parts are the most important for overall gaming performance. When you know what processor and video card is inside of a PC then you can dictate what kind of power you can expect out of it in-game. Also of course, other hardware pieces such as the RAM are also important towards gaming performance but it’s not as variable as the processing power and video card performance. But we’ll get to the other specifications later on. For the processor, this PC is using an Intel Core i7-8700. This is a 6-core processor with 3.2GHz CPU speed. With Turbo Boost, the speed can be increased up to 4.3GHz. This CPU is part of the Coffee Lake generation of processors which came out in 2017. They’re still completely relevant for today’s games and with the i7-8700 specifically, it’s great for content creation and other heavy processing tasks as well. If you take a look at the recommended requirements for any AAA title released or AAA titles that are releasing soon you’ll see that the i7-8700 is beyond what is recommended. This means that you definitely will not have to worry about processor spec requirements for any games. It’s going to be that way for a good amount of years going forward as well. This is because today’s i7 processors have hyper threading and high core speeds that far surpasses game requirements. Games aren’t even using hyper threading yet. Basically, the processor is more than fast enough to handle whatever you throw at it. These types of processors were more meant for fast rendering with video and/or graphic editing rather than being made for gaming which is why it’s considered “overkill” for gaming. But it’s not just the processing power that we need to look at, remember that the video card is also equally as important. You aren’t going to be able to play today’s AAA titles with the integrated graphics that comes with the i7-8700. This PC will come with a 3GB GTX 1060, though the brand will vary depending on the availability for CyberPowerPC. As far as performance with this card, it’s pretty decent. At 1080p resolution, you can expect a constant 60 FPS on most titles with some of the higher demanding titles, such as Metro Exodus, needing some graphic setting adjustments to have a constant 60 FPS. The GTX 1060 cards were made for 1080p gaming and some VR gaming. I say ‘some’ VR gaming because some of the higher demanding titles, and titles coming out in the near future, need more graphical power in order to run at a higher FPS rate which is required with VR games to avoid headaches and what not. VR needs around a constant 90 FPS rate in order for everything to run smooth enough for the game to keep up mainly with head movements. Having lag in VR causes heavy strain. If you’re trying to get this PC specifically for virtual reality, I’d actually recommend looking at other desktops. Sure, you can play the ones that don’t require the crazy requirements and you can also upgrade down the road but for the most part, people buying a pre-built buy one because they don’t want to have to open it up and upgrade it or anything, at least not for a long while. Now as for 1080p/60FPS gaming – absolutely. This card has enough graphical power behind it to handle it. You can get on YouTube and see overall performance for yourself, as most of the technical reasons why aren’t going to make much sense to a newcomer. All in all, it has 3GB of video memory combined with DirectX 12 capabilities, enough texture/pixel rates and enough shader processing units that is needed for a high quality 1080p experience. Sounds great, right? It is, for those looking to game at 1080p/60FPS. Though, you need to understand what is all possible for roughly $1,000 in the PC market and compare the performance levels for yourself. But before I get into that, let’s go over all of the other specs that make up the GXiVR8100A. The rest of the hardware within matters as well, as you obviously need each part in order to actually have a functioning PC. Though most of the rest of this hardware isn’t going to help directly with gaming performance… Allow me to explain. 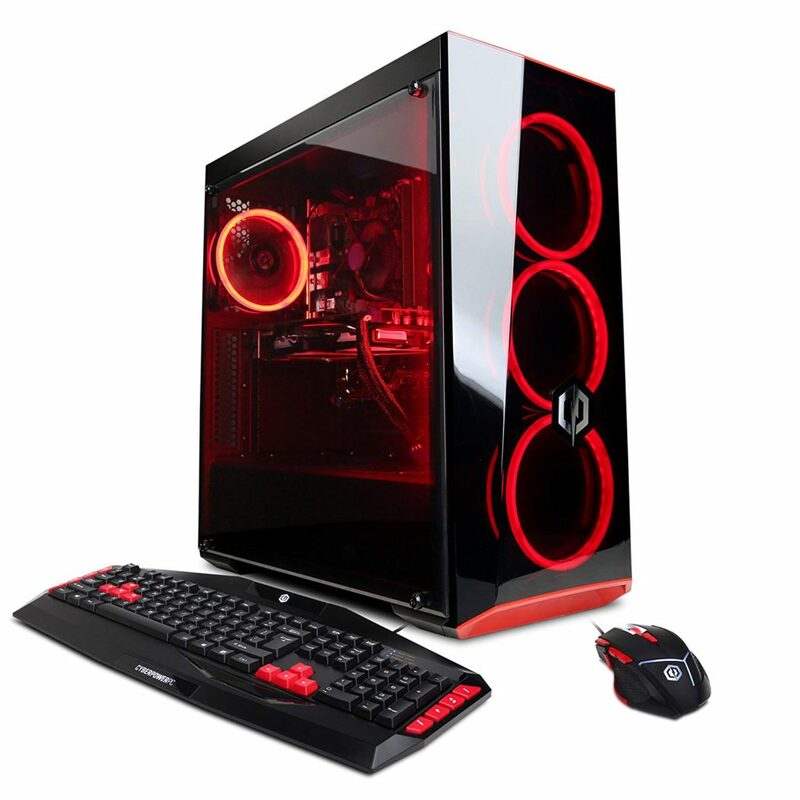 This model also has 16GB of DDR4 RAM, a 120GB solid state drive, a 1TB hard drive, a 500 watt power supply unit, a CyberPowerPC keyboard/mouse combo and Windows 10 64-bit pre-installed. 16GB of RAM sets you up for the long haul when it comes to computer memory. Computer RAM stores random bits of software memory in the background which helps with multi-tasking and also helps in gaming performance as well when there are a lot of different things going on in any given game. 8GB of RAM is still the industry standard, with more than 8GB of RAM being recommended for VR gaming and for the far future of gaming. With 16GB total, you’ll never really need to add more unless you planned on running your PC as a server or other tasks that required more total RAM. For storage it has 120GB of SSD space and 1TB of traditional hard drive space. Windows 10 will be pre-installed to the solid state drive which means extremely fast boot up times. This will leave roughly 100GB of SSD space that you will be able to use. I’d recommend installing your most used programs first on the SSD and then, if they’ll fit, your most played games. Solid state drives are a lot faster than regular hard drives so it makes sense to put your most used things on it! That 1TB of hard drive space can be used for everything else. It should be more than enough room for over 100 games and then storing general softwares/photos/videos as well. 500 watts of power from the PSU will be enough to handle everything inside of this model. You won’t be able to overclock the processor anyway, so extra power is not needed. Though, if you planned on upgrading the video card to something on a higher end then I’d recommend getting a 750W unit at the least to ensure that you have enough power going around to keep everything going. The keyboard and mouse that comes with is semi-generic but they absolutely get the job done. There is enough DPI for a 1080p resolution screen on the mouse for it to be used correctly and the keyboard is nice and solid. You’ll maybe want to upgrade your peripherals down the road, but that’s entirely up to you. As I said earlier, Windows 10 will come pre-installed on the SSD. It’s nice having your OS on a SSD because everything runs a lot smoother and faster. As far as other programs pre-installed, there really isn’t much with CyberPowerPC desktops. There isn’t any bloatware that’ll get in your way which I really appreciate. Who Is This PC Meant For & Is It Worth Buying? If you’re looking for a PC that can handle 1080p resolution and have an avg. frames per second rate of 60 on higher graphics settings for most of today’s games then this PC can do that. But I also want you to be aware of the power per dollar spent ratio with a PC like this. Whenever you’re buying a pre-built machine, you’re paying for convenience rather that the most optimal amount of power per dollar spent. For example, if you were to build your own PC for around the same price point, around $1,000, then you’d be able to run titles at 1080p/144FPS allowing you to fully utilize a monitor with a higher refresh rate, therefore being able to handle and show more than double the FPS rates. You’d also be able to run almost every single AAA title out today at ultra with no need to adjust anything. Granted, not everyone is trying to learn how to build their own PC and I get that. It’s understandable wanting something right from the get go. 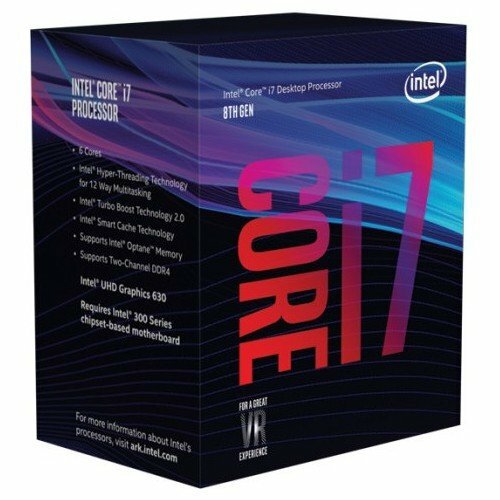 I just want to make absolute certain that you understand what you could have and experience in comparison to building your own before jumping on this PC. If you want to learn more and see the hardware involved with a $1,000 build, be sure to check out the guide below! Building your own VS getting something pre-built has its positives and negatives. More than likely, you’re here wanting to know if this pre-built is worthy of your attention and if it’s worth the money. 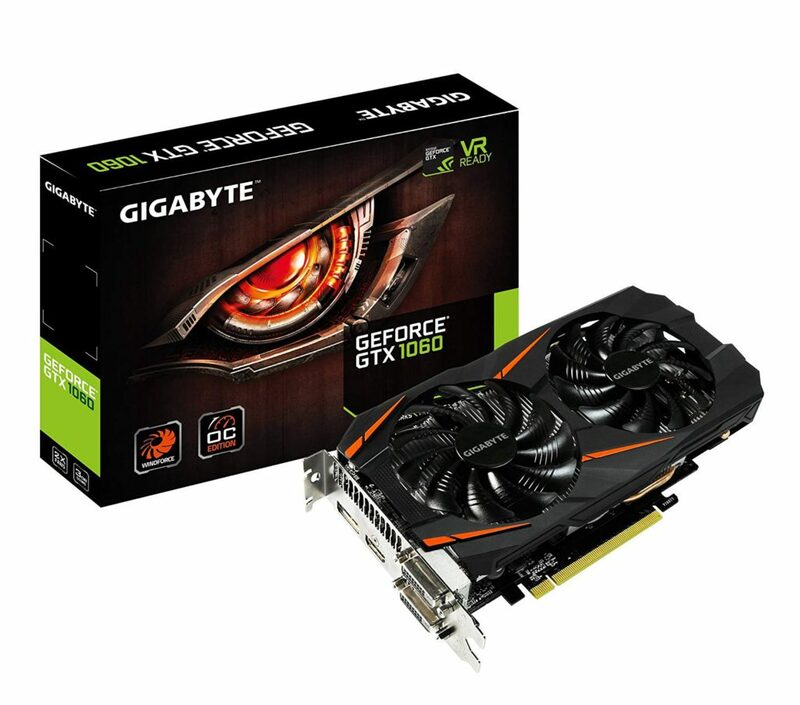 With everything considered, yes, it’s worth getting for those of you wanting something where you only would need to upgrade the video card in the years ahead. It’s pretty easy to swap out the video card whenever you would deem it necessary and when it comes to 1080p/60FPS gaming, you won’t need to for a long while yet. This is the end of the CYBERPOWERPC Gamer Xtreme VR GXiVR8100A Gaming PC Review – let’s go ahead and sum things up. 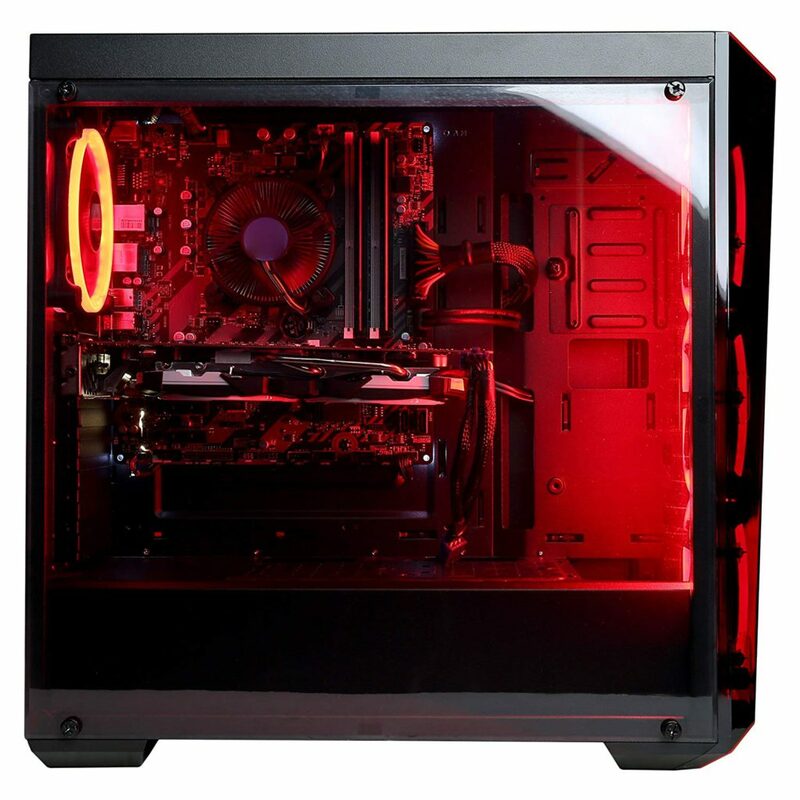 This is put together by CYBERPOWERPC which means the build quality will be extremely high. Cables well managed, everything put together the way it needs to be and something that’ll work right out of the gate the way it’s intended to. With that, there are also things to consider before snagging this PC for yourself. Here are some pros and cons I thought were important about the PC. Build quality is very high. No need to install anything, it’s ready to go right away. A full year of parts and labor warranty with CyberPowerPC. Will handle gaming at 1080p/60FPS. Solid state drive included for fast boot times. When you decide to upgrade the video card, you’ll need to upgrade the power supply as well. Compared to doing a build of your own, you aren’t getting the optimal power per dollar spent. Not able to overclock anything. Only available with the red LED lighting. All in all, if you’re okay with paying the extra bit for the convience of having a ready-to-go PC – this will be great. 16GB of RAM and a processor that’s ready for all types of rendering… it’s even more worth getting if you’re involved with that type of work. Don’t just take my word for it, there are plenty of Amazon reviews to go over as well! So, are you going to be getting this PC? Do you think it’s worth getting at this price range as well? Tagged cyberpowerpc, Gamer Xtreme VR, GXiVR8100A, pre built gaming pc, review. Bookmark the permalink. The CyberPowerPC Gamer Xtreme VR GXiVR8100A is a high-performance gaming desktop that can clobber any gaming console while supporting virtual reality headsets. That’s no small accomplishment, especially for a system that is light on your wallet. For anyone that want a super affordable, but potent gaming PC though, it may be worth it. I agree! Even with a custom build being a bit more powerful, this is still right up the alley for those that want a nice pre-built PC that’s ready to do it all! It’s definitely beating out consoles, big time. Wow it can handle 1080p resolution and have an avg. frames per second rate of 60 on higher graphics!! I think this is perfect for freelancer into graphics motion and web design. The price is a bit high but still cool because I so much dislike it when am working and my PC is slow or hanging due to low quality of size. Good article and very helpful. I am a senior looking to buy a gaming computer for my grandson. He is 14 years old and it looks to me this would be the right machine for him since I do not want to build a computer and wouldn’t know how anyway. He plays high end games with his friends around the world. Some seem pretty intense. So would you recommend a computer like this for a kid gamer? Would it be appreciated coming from a grandfather? Definitely. This rig will handle it all. If he’s looking for that smooth 60 FPS on the higher end games then a system like this would be perfect. Have you also looked at the PC build guide for around the same price point? You two could put a PC together and it’d even be a bit more powerful! Let me know if you need any help in that regard!